The ins and outs of new-born and baby sleep can be pretty daunting for a new mum. First off, there’s the myriad of sleep options: do you want a crib or a cot, a Moses basket or a co-sleeper? Should it be in your room or theirs? Then there’s sleeping attire and bedding. Sleepsuits? Pyjamas? Cellular blankets or sheets? Finally, there’s cot safety and SIDS advice to worry about. Do I need bumpers? (It is recommended you use air wrap breathable bumpers only) Feet to bottom of the cot? Temperature of room and appropriate layers? Sleeping bag or blankets? I remember how panicked I was, when we first brought our son home. There was so much information – much of it conflicting. After going through all this twice, we have settled on the method that works well for us. 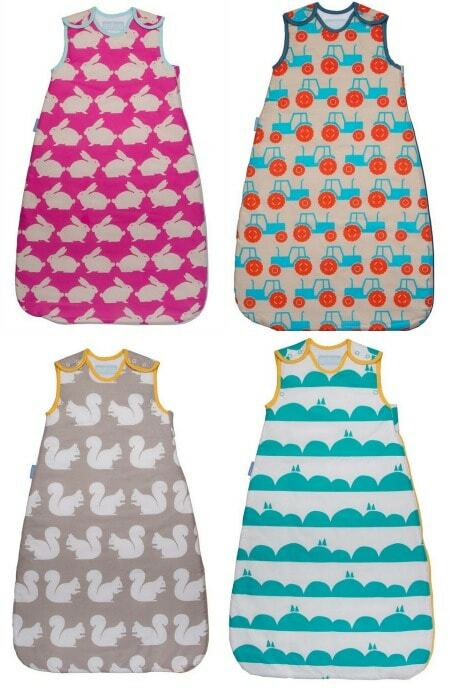 Sleeping bags are designed to take away some of the safety and temperature issues of bedtime and make choosing what to put your baby in for bed simple; for us they were by far the most convenient and effective bedding. Here are a few tips I have picked up along the way – the information I would have found useful when I had my first child. Most bags have a lower weight limit, generally about 10lbs. Until your baby reaches this weight it would be best not to use a sleeping bag. I also found that, at first, both mine liked to be more secure in their bedding, mimicking the womb – like a swaddle. We used Summer Infant Swaddle Pods for the first 6 weeks. Gro now do their own version, called a Gro Snug, but we have not tried those personally. Once your baby reaches the weight threshold, the bags go right up to age three and over. My son used bags until he went into a bed at two and a half years and I imagine Littlest will be the same. Sleeping bags come in ‘tog’ ratings, like duvets, that are appropriate for different times of year and different temperatures. For the most part, in the British climate, you will need a 2.5 tog bag. If you live in a colder country or have a house that gets very chilly (below 15 degrees), then you might need a 3.5 tog bag. The ideal temperature for your baby’s sleeping room is 18 degrees. This feels slightly on the chilly side to most adults, I think, but if wearing the right sleep attire your baby will be just right. Obviously, sometimes you can’t control the temperature – you then adjust the tog and clothing appropriately. During the spring and summer months, a 1.0 tog is usually the right one to go for. If it gets very hot indeed, over 24 degrees, you may need a 0.5 tog. In terms of knowing the temperature of the room your baby is sleeping in, I cannot recommend the Gro Egg highly enough. Whenever friends or relatives are expecting, I will recommend or buy them a Gro Egg. Not only does it display the temperature in the room extremely accurately, it also changes colour, from blue, to orange, to red. This enables you to spot changes in temperature easily, even on those bleary-eyed sleepless nights. 0.5 tog bag and vest? Or just short-sleeved pyjama top? Or just a longer sleeve vest? Arrrgh. Luckily, Gro have a really useful table that lets you know just what to dress them in, and which bag, for any conditions. You can find it here. I dress my children in pyjamas for the majority of the year. Tonight their rooms are 25.8 and 26.2 degrees (thank you Gro Egg) and so they are both in vests only with Littlest in a 0.5 tog bag. 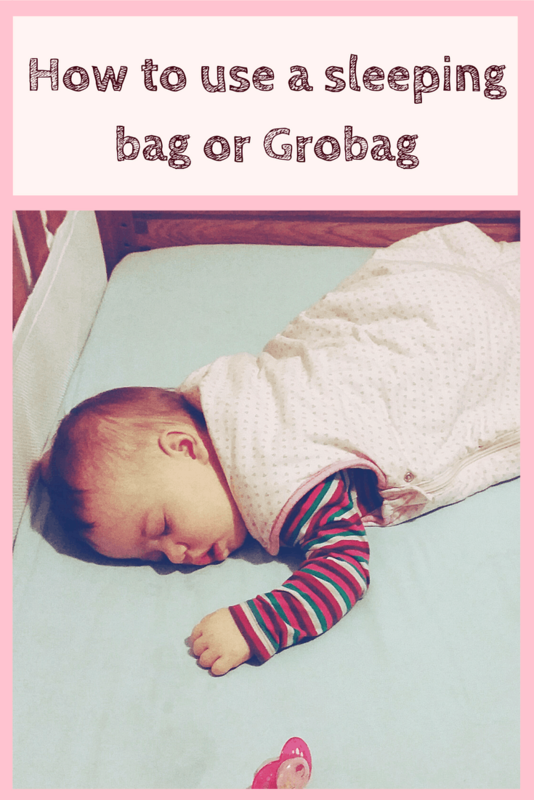 I must admit, our favourite brand of sleeping bag is Gro. They are slightly pricier than some other brands and supermarket alternatives but the quality and consistency of the togs and sizes is great. And they come in so many lovely patterns. A favourite of ours from this winter was the top left 2.5 tog bag called ‘Kissing Rabbits’. TK Maxx is a great place to look for discounted Grobags. They have a great range at reduced prices. The benefits of sleeping bags are great. They are safe in terms of SIDs (Sudden infant death syndrome, also known as ‘cot death’) because they prevent babies getting too hot or caught up in bedding. Fidgety babies cannot kick their covers off and become too cold. If you have a very active baby, like my youngest, they make escape-acts just a little more difficult; she can’t quite climb out of the cot yet and I am sure this is, at least in part, due to her sleeping bag! And that’s it. Hope some of the information has been helpful. Here’s to safe, peaceful sleep.